The post carries pay scale of Level-6 (Rs.35400-112400/-) and is classified as Group "B‟ (Non-Gazetted), Non-Ministerial. The post carries pay scale of Leve-6 (Rs.35400-112400/-) and is classified as Group "C‟ (Non-Gazetted) by Delhi Police. The post carries pay scale of Level-5 (Rs.29200-92300) and is classified as Group "C‟ (Non-Gazetted). Educational Qualification: Bachelor‟s degree from a recognized university or equivalent. Examination Process: The examination will consist of Paper-I, Physical Standard Test (PST)/ Physical Endurance Test (PET), Paper-II and Detailed Medical Examination (DME). 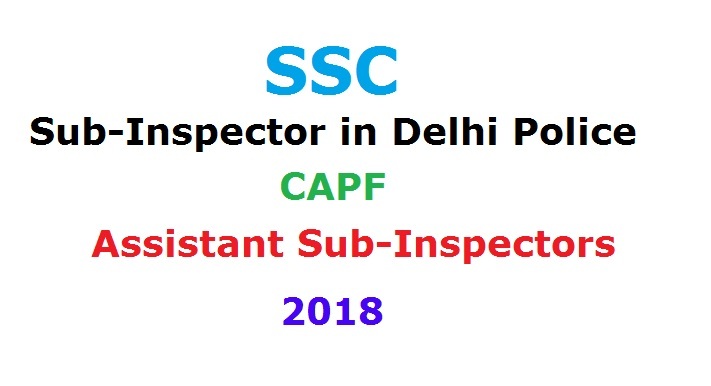 How to Apply: Candidates must apply through the website http://www.ssconline.nic.in or „Click here to apply‟ link provided at http://www.ssc.nic.in->Apply->CAPF.